USDA recently announced its “Smart Snacks in School” proposal that will help to ensure all foods and beverages sold in schools contribute to a healthy diet. The proposal offers a common sense approach to healthy eating by promoting the availability of snack foods with whole grains, low-fat dairy, fruits, vegetables or protein foods as their main ingredients, while preserving time-honored school traditions like occasional bake sales and birthday treats. Parents and teachers work hard to instill healthy habits, and our proposal reinforces that hard work by ensuring that kids are offered only tasty, nutritious food options at school. Thanks to the Healthy, Hunger-Free Kids Act of 2010, this year students across the country began getting healthier school meals with more fruits and vegetables, whole grains, and low-fat dairy based on scientific recommendations for nutrition. Through the Act, Congress also directed USDA to set nutrition standards for all foods sold in schools, including vending machines, school snack bars and a la carte, as a complement to the new, healthy standards for breakfast and lunch. Today I participated in event with Chicago mayor Rahm Emanuel to highlight the challenge of increasing access to healthy foods. It’s a conversation that I and others at USDA have had many times before. From small towns to big cities, people are talking about how to get more fresh, healthy food into their communities. Everywhere I go, parents ask how and where they can get fresh fruits and vegetables for their children. Schools ask for advice on sourcing healthier food for school meals. Shoppers ask where they can buy healthy foods in their neighborhoods. According to the Institute of Medicine, 1 in 3 children and 2 out of 3 adults are overweight or obese. The percentage of obese adults in the United States is expected to reach 42 percent by 2030. More than 20 million Americans have diabetes, and 79 million are pre-diabetic. Our nation’s children may be the first American generation to have a shorter life expectancy than their parents’, due in large part to obesity-related diseases . In addition, the economic costs of obesity and related chronic health issues are staggering at an estimated $147 billion per year in direct costs, and billions more if indirect costs such as lost productivity are included. Recent news articles have reported that a healthy diet is expensive if one were to consume the recommended amount of fruits and vegetables. As the senior economist with the USDA Center for Nutrition Policy and Promotion (CNPP) with over 20 years of experience in the area of food economics developing food plans and market baskets, I agree. Depending on the food choices, a healthy diet can be relatively expensive. However, there is a compelling fact that these news reports fail to highlight -- a healthy diet can be relatively inexpensive. Now some readers of this blog may think that this is another case of economic double talk or spin, but healthy foods come in a variety of forms and a range of prices that likely fit just about anyone’s budget. Getting Kids off to the Right Start with Water and Milk! When the First Lady kicked off the Let’s Move! initiative last year, she said that her primary goal is to end childhood obesity. The Healthy, Hunger-Free Kids Act gets to the heart of this effort by helping schools, parents, and communities make health and nutrition a priority for kids. Among the law’s many reforms, schools that participate in the Department of Agriculture’s (USDA) school lunch program will have to make drinking water available for free to students in the cafeteria during lunch. With this change we want to make the healthy choice the easy choice for our kids. Schools must also offer at least two choices of low fat or fat free milk. These changes are consistent with what is recommended in the Dietary Guidelines for Americans, just updated earlier this year. 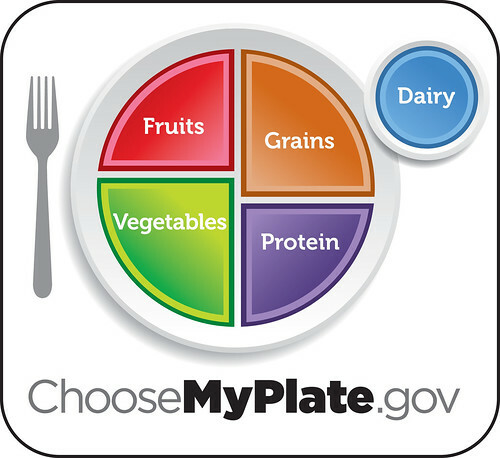 The Dietary Guidelines are a set of science-based recommendations that include many tips for improving health and wellness.